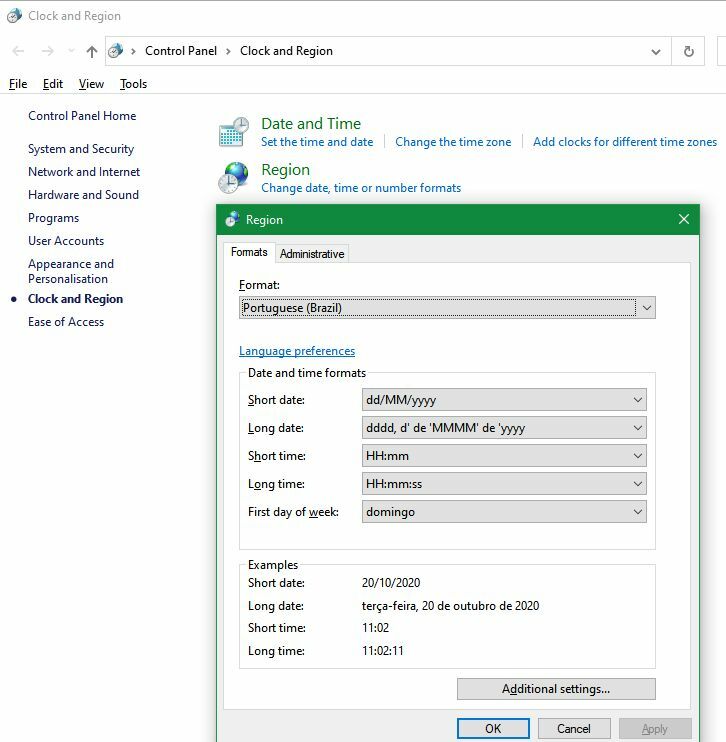 The Additional Language Files option contains multilingual resource files required to run EQuIS in additional (non-English) languages. Available Languages include the three listed here. 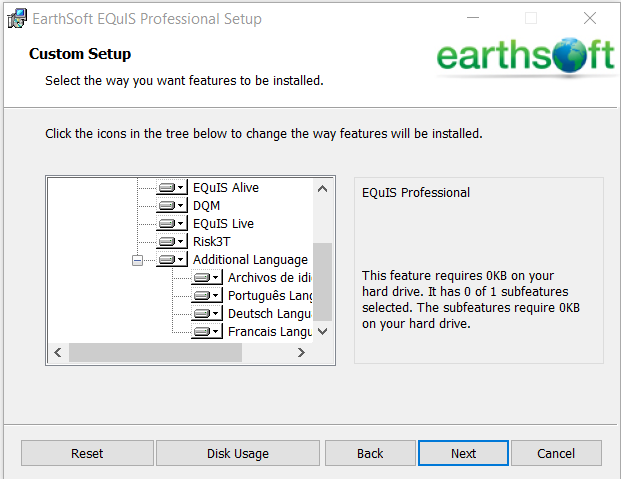 If none of these additional languages are to be used, EarthSoft recommends not installing these optional files. If using Windows 10, follow the instructions below. 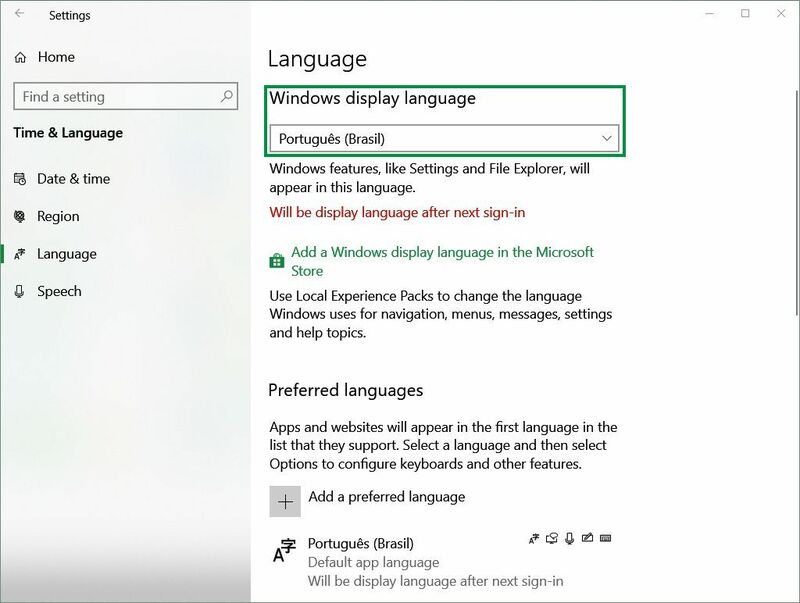 1.Go to Settings > Time & Language > Region & Language. 2.Choose the desired language and Set as default. 3.Go to Control Panel > Clock, Language, and Region. 4.Choose the matching Format, Apply it, click OK.